This year’s conference was hosted by The School of Education and Childhood studies in collaboration with the Higher Education Forum. The conference was organised by Dr Wendy Sims-Schouten and Dr Jessica Gagnon who led a team of academics and administration staff. 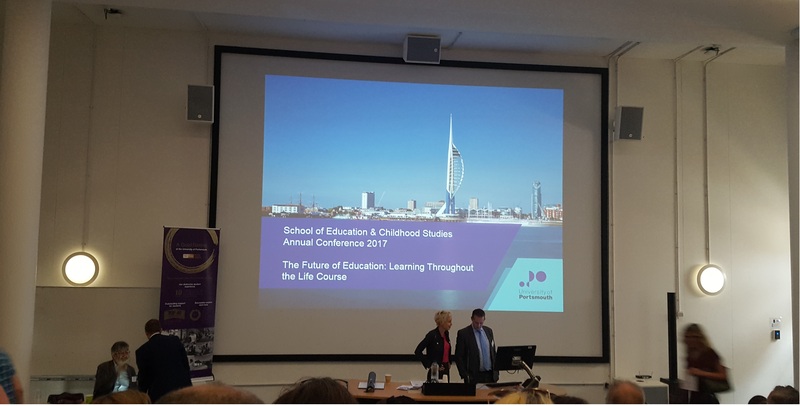 It is the sixth annual conference and this year focused on ‘The Future of Education: Learning throughout the Life-course.’ This year over 120 delegates attended the event and lots of participation took place in the form of questions and comments. 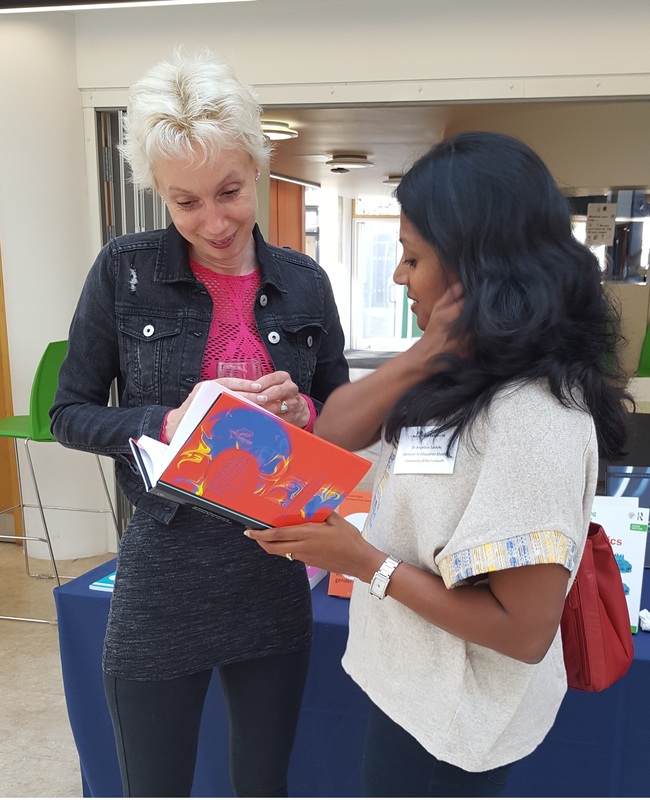 The event was organised around 4 themes that are central to the work of the department: Mental Health and Wellbeing in Childhood and Education, Childhood and International Development, Education Perspectives, and Inclusion and Diversity. 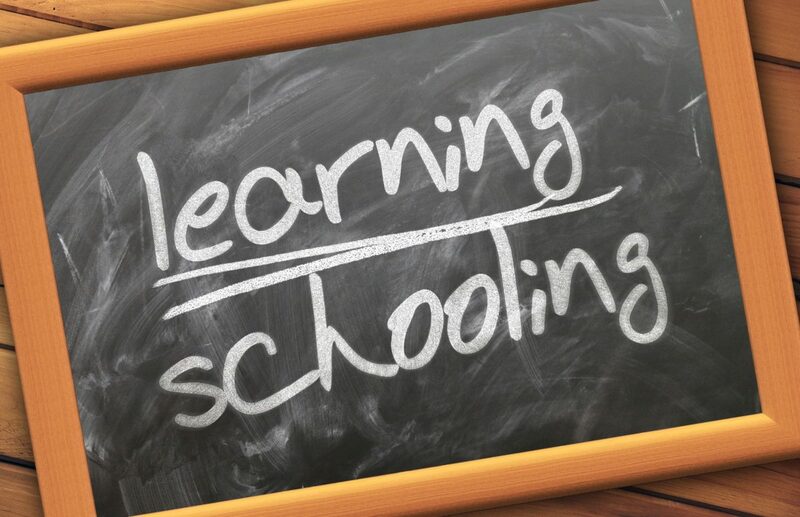 The scene for these themes was set by the two keynote speakers, both professors exploring current themes relating to educational and life-course outcomes for future generations. The first speaker was Professor Nigel Thomas, Professor of Childhood and Youth Research in the School of Social Work, Care and Community at the University of Central Lancashire on ’Human Beings Need Something from One Another when they come to places Like Schools’ Participation, Recognition and Wellbeing and Professor Kalwant Bhopal, Education and Social Justice and Bridge Professorial Research Fellow in the Centre for Research in Race and Education, in the School of Education at The University of Birmingham on BME Academic Flight from UK Higher Education. Top: Keynote speaker Professor Nigel Thomas. The keynote speakers raised a number of important issues which generated a whole host of questions to be addressed through future research and collaboration. 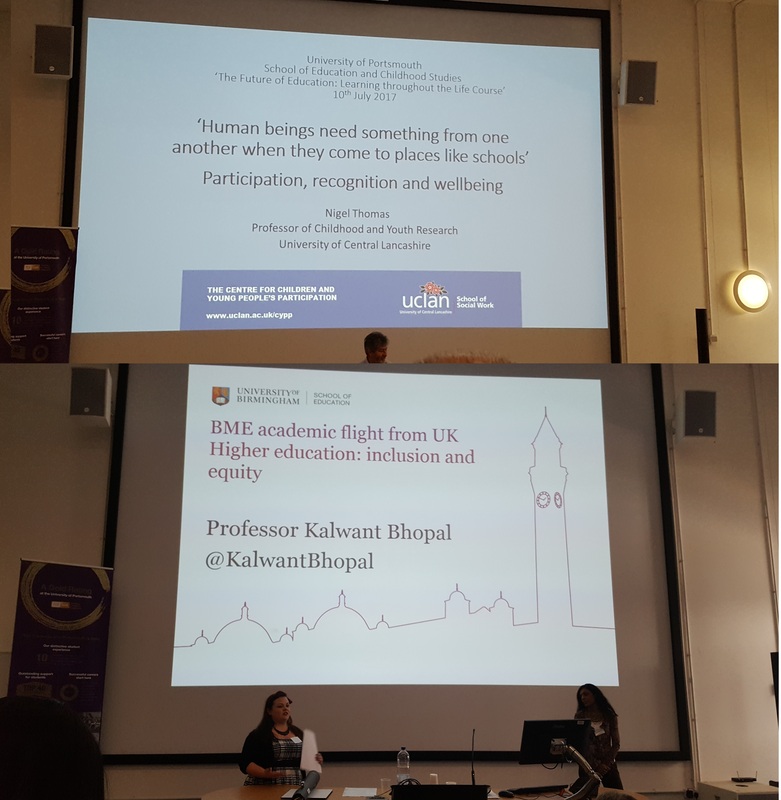 In particular, Professor Kalwant Bhopal, University of Birmingham, delivered an array of alarming statistics regarding the disadvantages faced by BME students through her research which is linked to the inequalities still experienced by those from BME backgrounds at all levels. In particular, the discrepancies between the number of, not only BME students, but those from other WP groups, who gain access to Oxbridge and Russell Group Universities and the under-representation of BME academic staff across all HEIs (ECU 2015), (HEFCE 2016), (Bhopal 2016), (Independent Schools Council (2016)). 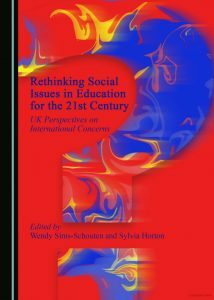 Dr. Wendy Sims-Schouten and Dr Angie Dharmaraj- Savicks discussing the departments most recent publication: Rethinking Social Issues in Education for the 21st Century – UK Perspectives on International Concerns, of which Wendy Sims-Schouten and Sylvia Horton are editors. 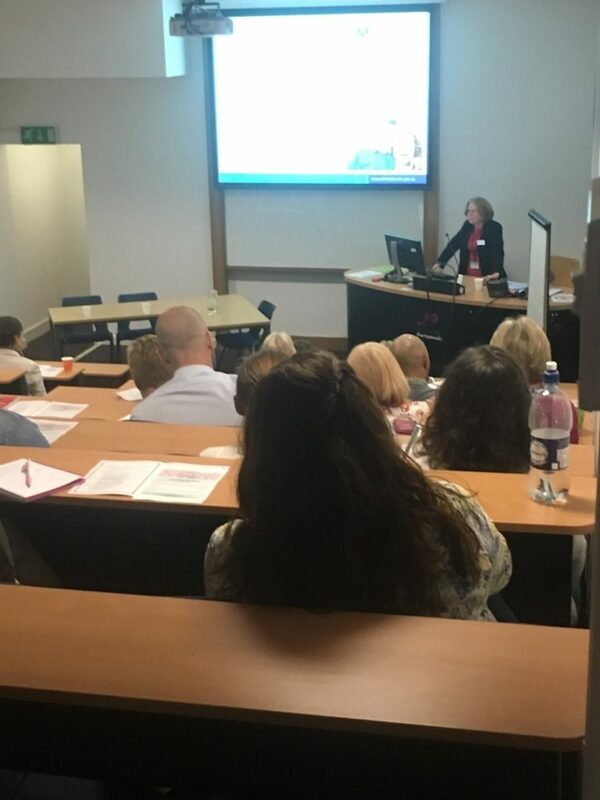 The conference also introduced new and ongoing research themes within the department including; Dr Wendy Sims-Schouten’s Mental Health in Childhood and Education Hub, Dr Jessica Gagnon’s multiple projects around the themes of Higher Education Experiences: Equity and Inclusion, Dr Francesca Salvi, Dr Angie Dharmaraj-Savicks and Dr Ann Emerson’s Global Education, Childhoods and Outreach, among others. Important issues and questions were raised that researchers in the department will be working on during the coming year. The conference provides a fantastic opportunity for staff to showcase their work and to meet and listen to academics and practitioners from other universities, colleges and educational organisations. Bingham C (2001) Schools of Recognition: Identity Politics and Classroom Practices. Lanham, MD: Rowman and Littlefield. ECU (2015). Equality in Higher Education: Statistical Report 2015. Part 1: staff. London: ECU. Mental Health Awareness Event (8th of May) – How can we improve mental health in children & young people? How many of us are surviving or thriving, and what is the difference between the two? Why are some communities under strain and what can the government do to support them to thrive? What steps can we take to look after our mental health, build resilience and cope with the demands of life? To provide a greater understanding of this highly topical and constantly developing area, the MICE Hub hosted a special event to coincide with Mental Health Awareness Week (8th – 14th of May). The event took place on Monday 8th May from 10.30am to 3pm in the University’s St George’s Building, 141 High Street, Portsmouth. Keynote speakers were Alison Jeffery, Director of Children’s Services at Portsmouth City Council, who talked about ‘Mental health as everyone’s business: emotional well-being in education, safeguarding and city wide children’s services’ and Dr David Harper from the University of East London who looked at ‘Rethinking Approaches to Mental Health Stigma’. 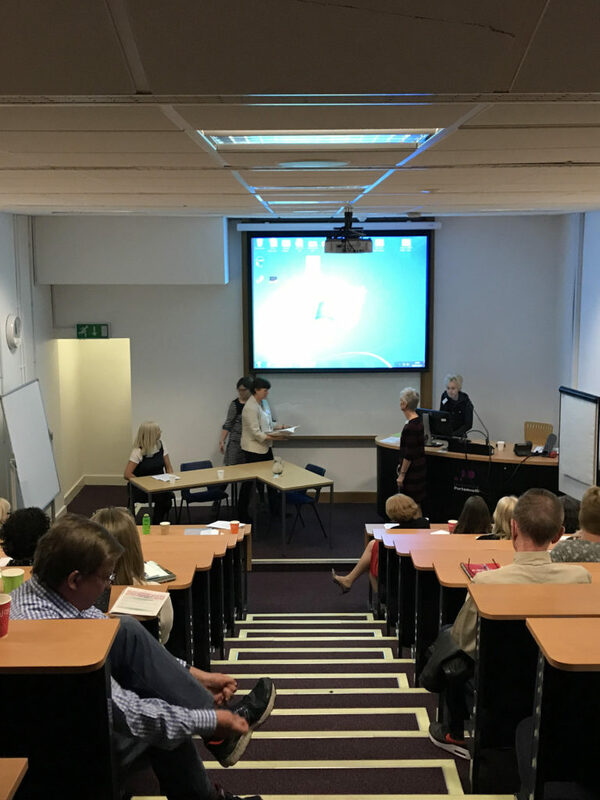 In addition to this there were contributions from national charities, such as Family Links, Wessex Academic Health Science Network and academics and research staff from the University of Portsmouth and beyond. 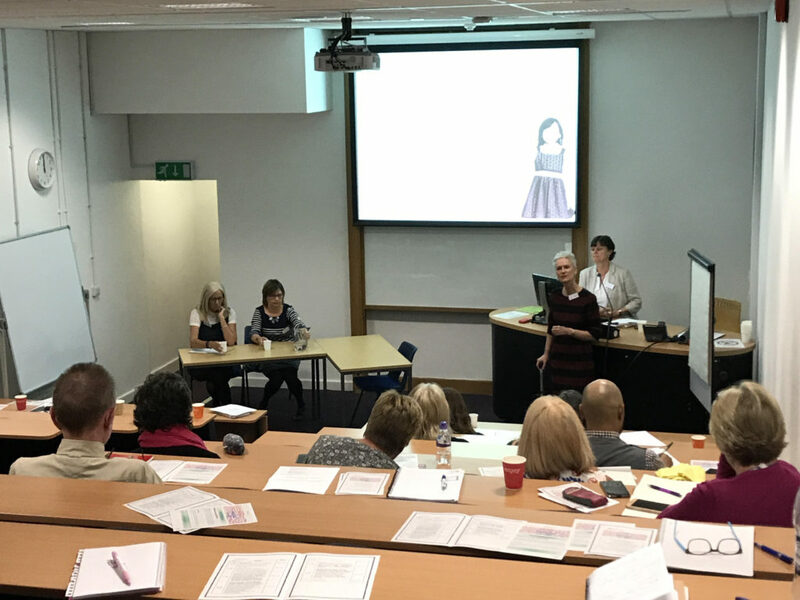 This was a thought-provoking day, with talks ranging from mental health and wellbeing in early childhood, midwifery, through to mental health in schools and HE and wellbeing of care leavers and mental and social work. 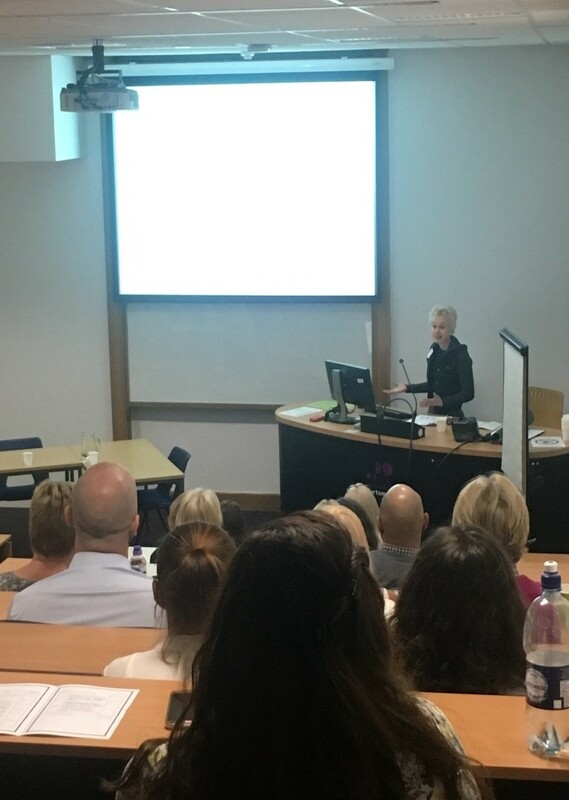 In her keynote Alison Jeffery focussed on the MH strategy in Portsmouth and what is being done to support children and young people (and what needs to be done). 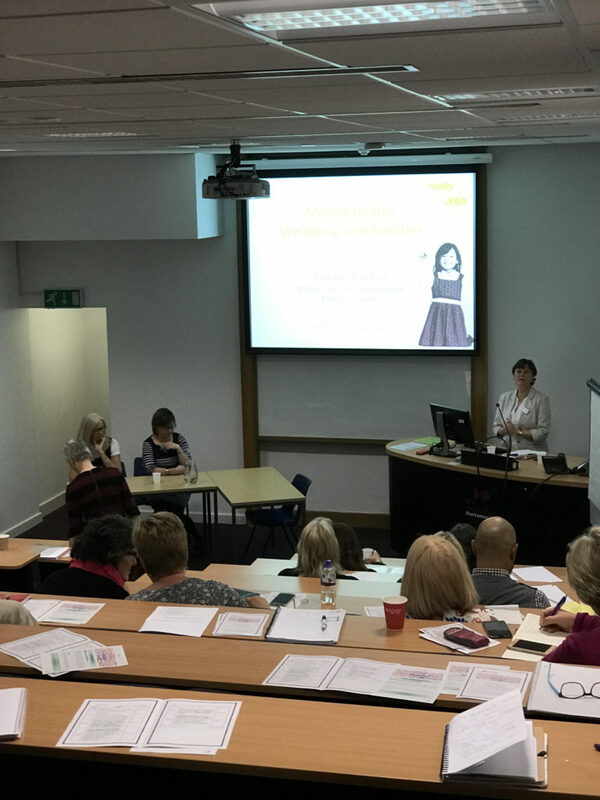 Melanie Goddard from the Roberts Centre (child focused charity in Portsmouth) talked about programmes and support for young care leavers and birth mothers, whilst Sarah Darton from the national charity Family Links focused on emotional health and resilience in children and families in her talk. The need to see the bigger picture and engage with family stories and narratives was echoed by Emma Maynard in her session on engaging family narratives. The University of Portsmouth’s Dr. Gina Sherwood introduces the panel – Sarah Darton, Emma Maynard and Melanie Goddard, and invites questions from the audience. Dr David Harper, director of clinical psychology programmes at UEL discussed approaches to mental health stigma, highlighting that there is a need to tackle the stereotyping of MH issues that appears to specifically exist amongst young people. Mental Health in HE was also discussed, with Denise Meyer, Head of Welbeing, UoP flagging up the support services that are available in the University, such as the WhatsUp app. Alison Griffiths, programme manager mental health at Wessex Academic Health Science Network flagged up that 20-24 year olds account for the largest number of mental health emergency departments attendances, 8% of which are University students; Clare Wilson from the University of Portsmouth discussed the need for mental health support groups and the research that she has done around in. Dr. Wendy Sims-Schouten thanks the keynote speakers and panelists for their time and effort preparing such informative content for the event. Taken as a whole, there was lots of evidence of good practice, but the need for more work on this front was also consistently highlighted. Dr. Wendy Sims-Schouten’s research reveals that our perception of the Victorians may not necessarily be the reality. The images conjured by Charles Dickens and Wilkie Collins were not necessarily a true reflection of how children were treated. Children were often taken in to care as a result of dysfunctional family situations and parents with mental health issues. The research shows a stronger focus on helping the child than expected, especially those with mental health issues. 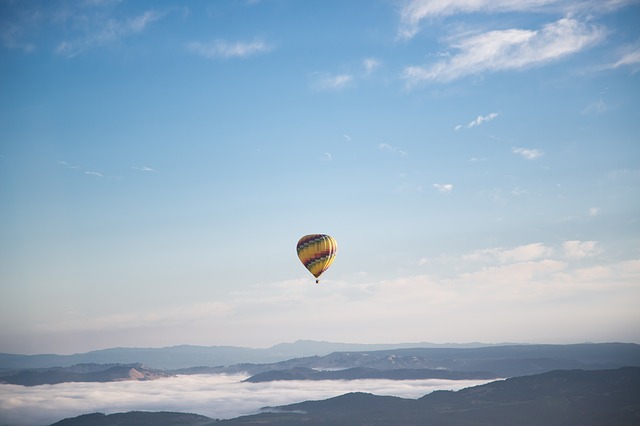 The phrase ‘mental health’ was first used in the late 1800s and the main difference is the language used to describe individuals with mental health conditions which was also used to describe those with learning difficulties and ‘peculiarities’. The seriousness of mental health issues, among other factors, played a huge part in the decision making process. Catering for children with mental health issues was, and still is, a problem. Can we learn from the Victorian’s and Edwardian’s more caring approach? By making sure we listen to children and give them a voice.